Product categories of SIP WIFI Rugged Phone, we are specialized manufacturers from China, SIP WIFI Rugged Phone, SIP WIFI Handset suppliers/factory, wholesale high-quality products of SIP Handheld Terminal R & D and manufacturing, we have the perfect after-sales service and technical support. Look forward to your cooperation! 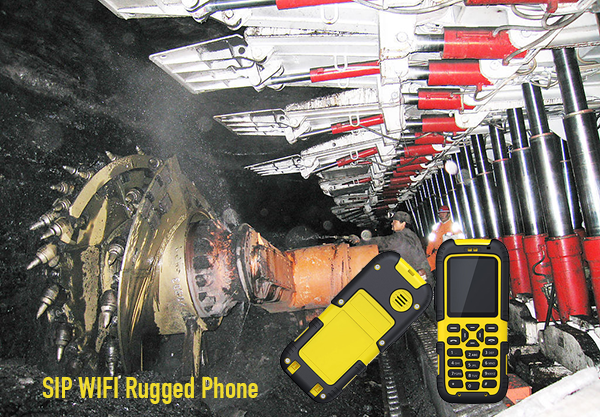 SIP WIFI rugged phone is a high-performance industrial WIFI cell phone designated for clients from manufacturing plant, petrochemical plant, dock and the coal-mine industry etc,such as office used sip handset,hotel used ptt function sip phone,outdoor dust-proof voip mobile phone,underground sip wifi mining-phone. Besides the call and short message services as owned by the SIP WIFI Rugged Phone. Also the SIP WIFI Rugged Phone integrates functions of Group Call Talk, One Touch SOS, Self-Organized Network and Assisted Positioning. 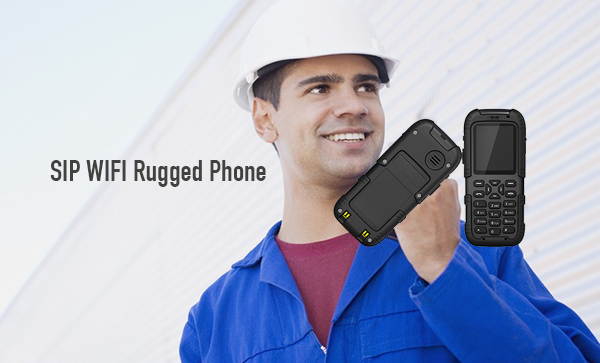 With the advanced industrial design,The SIP WIFI Rugged Phone satisfies the explosion proofing, dust screening, drop proofing and shock proofing requirements. Supporting SIP 2.0 (RFC 3261), good compatibility and with docking charger.